Stopping violence must not come at the price of worsening our already unacceptable criminal justice system that overcriminalizes, overarrests, overconvicts, overincarcerates, and oversupervises (through pretrial detention, and often excessive limitations on the liberty of probationers and parolees). 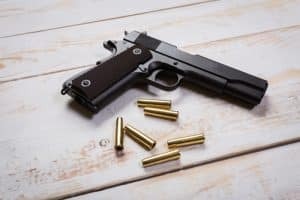 As an individual and Virginia criminal lawyer tremendously saddened by domestic and worldwide violence — including the repeated school murders — I warn about the generations-long adverse fallout that can come from weakening the Second Amendment and the rest of the Bill of Rights in the effort to stopping violence caused by gun misuse and other means. The United States was born with violence, with over 4,400 American soldiers killed in the Revolutionary War, followed several decades later with much higher soldier and non-combatant casualties in the Civil War, World War II and the Vietnam War, to name but a few. The United States has flexed its military muscle from the outset, leading to worldwide military actions, training and arming other nations’ militaries and soldiers (including armies of particularly brutal governments), and speeding along the nuclear arms race that got too out of hand to be able to sufficiently control to this day. This nation continues as the overpoliced, government-military-industrial complex that Dwight Eisenhower warned about, now all the more entrenched in the anti-terrorism, hyper-national security state justified by all too many people by the September 11, 2001 murders. Violence, violence-readiness and the threat of violence seeps throughout American society. As I have said many times before, putting teeth in the Second Amendment gives teeth to the rest of the Bill of Rights. I am pro-choice on guns, and choose not to own one, in this state of Virginia where obtaining a concealed handgun carry permit is as simple as 1, 2, 3. People are free to vote with their wallets to frequent retailers and other private businesses who do not sell guns and do not permit carrying guns on their premises. This is the first of a two-part article. Part two is here. Virginia criminal lawyer Jonathan L. Katz knows from his work in the criminal justice system about how serious is the need for stopping violence. He insists that every criminal defendant — always starting with the presumption of innocence — be guaranteed their full Constitutional rights protected at all times. To discuss your case with Jon, please call his staff at 703-383-1100 to schedule a confidential consultation.